Running Press Kids, 9780762461639, 288pp. Join Elmo, Abby, Zoe, Big Bird, Cookie Monster, and all their Sesame Street friends in this delightful and educational storybook treasury! 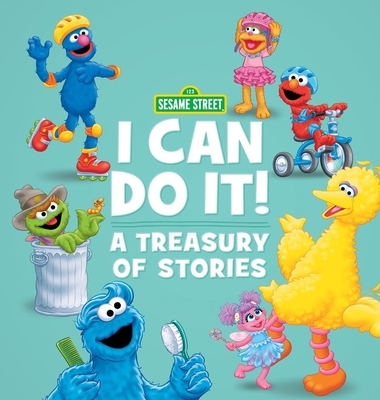 In Sesame Street I Can Do It!, young readers will experience many firsts with their favorite character, building confidence to help them navigate new situations. From using the bathroom to going to school to having a sleepover, Elmo and friends will encourage children to embrace new experiences. Additionally, Bert will teach children the importance of taking turns while Elmo and Grover demonstrate the how to be a good friend. If the friends on Sesame Street can do it, kids can do it, too! This treasury format makes this the perfect bedtime or on-the-go book and will be a cherished gift for the Sesame Street fan! Sesame Street debuted in 1969 and has been defining children's programming ever since. More than 90 million kids have watched Sesame Street over the past four-and-a-half decades.